This is just a teaser. 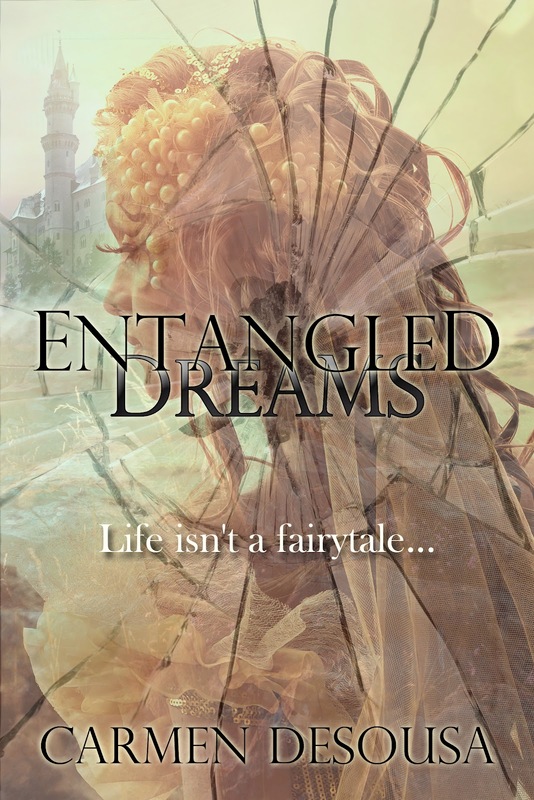 If you missed the first few excerpts of Entangled Dreams, you can read the first three chapters here. Don't worry; there's a link, which will bring you right back. If you've been keeping up with Entangled Dreams, you know that our female protagonist, Alexandra Nicole "Nicky", has lost both of her parents and is in a worthless relationship. Desperate to feel anything but pain for one night, Alexandra hopped on the back of the motorcycle of a handsome stranger (Cameron), but then disappeared the next morning. Cameron let her walk out of his house without a word, but it looks as though he’s having second thoughts. Cameron parked in the furthest reaches of the parking lot, waiting to see if her boyfriend would show. His hope escalated as he witnessed Alexandra standing outside, waiting. She removed her barrette and combed her fingers through her beautiful, blonde curls. Then, those same delicate fingers fiddled with her phone. Texting him, he realized. He’d give him ten minutes before he approached; he definitely didn’t need to get in a scuffle. Just the idea of her with someone else angered him. Within five minutes of her text, he arrived. Cameron had prayed the loser wouldn’t show, but evidently, her plan had worked. Had she confessed to him about their evening together? Had she told him how she’d used another man to make him jealous? Sadness enveloped him, but it didn’t matter. He knew tomorrow would be the same. Would she consider that he was stalking her? Is that what he was doing? No, he just wanted to make sure she got home safely. And have an opportunity to speak with her if possible. He wondered what day she had off. Sullenly, he watched as tonight she got behind the wheel and pulled out of the parking lot as if she were angry at the world. Want more? Entangled Dreams will be out in a couple of weeks, but while you wait, read on for more information about my bestselling romantic-suspense novels available now. Both of my published novels, She Belongs to Me and Land of the Noonday Sun, have reached bestseller status right alongside Nicholas Sparks, J.D. Robb, and other great authors. 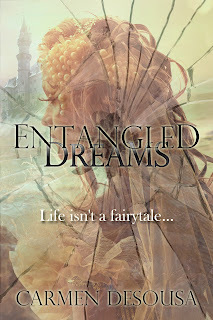 My third novel, Entangled Dreams, releases this month. To bad he didn't man up and walk over there. Hey, what girl doesn't like a good scuffle in her honor? LOL, just kidding. Hang in there Cameron, I've got a feeling your day will come!